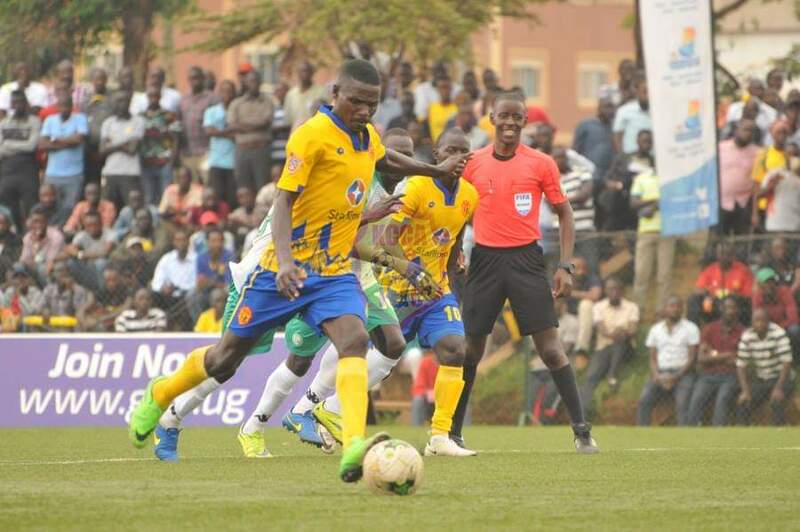 LUGOGO – KCCA FC required a Patrick Kaddu penalty to defat Onduparaka 1-0 in the StarTimes Uganda Premier League on Tuesday afternoon. In the game played at Lugogo, unlike in the past, Onduparaka produced a magnificent display that only lucked a goal in the end. In the beginning, both sides started brightly, creating chances at both ends. On 6 minutes, Nicholas Kagaba tried to loob KCCA FC goalkeeper Charles Lukwago but his effort could only find the top of the net. At the other end, Kaddu curled a shot from just inside the area but his effort was fumbled by Nichoals Ssewbato who gathered at the second attempt. Kaddu had another chance to put the hosts ahead but his weak header off Mustapha Kizza’s cross, was dealt with by Ssebwato. With half of the first 45 played, Onduparaka’s Rashid Toha had a free-kick saved by Lukwago. The best chance of the half fell to Muzamir Mutyaba but he could not control Ronald Musana’s cross was through on goal. With only a minute of the first half to play, Allan Okello unleashed a ferocious strike from outside the area which was paried by Ssebwato before Denis Okot cleared the visitors’ lines. After the break, KCCA came all out ib attack and Muzamir had a shot from outside the area saved by Ssebwato after a migical faint by Kaddu. At the hour mark, Rashid Okocha brought down Kyambadde in the area and KCCA FC were awarded a penalty. Kaddu stepped up and converted for his 8th goal of the season to put the hosts 1-0 ahead. Onduparaka went all out in search of an instant reply but Ceaser Ochuti could only handle Okot’s well weighted cross. Consquently, the striker was booked by the referee. 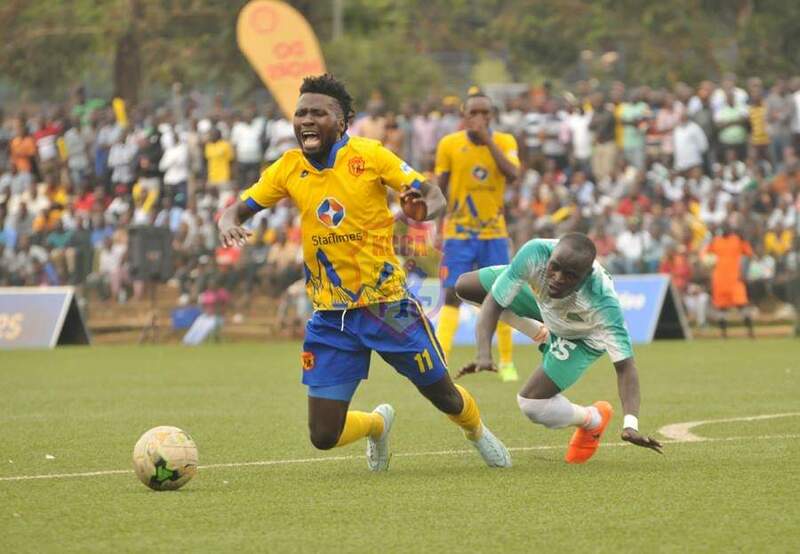 Two minutes later, KCCA’s Peter Magambo brought Vianne Ssekajugo down near the area, to become the second player to be booked. In an attempt to see out the result, the hosts made a double substitution, sending on the duo of Jackson Nunda and Isaac Kirabira to replace Okello and Muzamir respectively. Onduparaka made their first substitution qith 19 minutes to play as Gadaffi Gadinho came on for Abel Etrudde. Four minutes later, Faizool Ibrahim tried his luck from distance but his shot kissed off the post and out for a goal-kick, much to the relief of the home side. With KCCA headed for a slim victory, Faizool tried again from distance with four minutes to play but his sjot saw similar results as it again rattled the upright and the home side cleared their lines. Despite late pressure from the visitors, KCCA held on for yet another League victory and march onto 40 points from their first 17 games. The victory means KCCA remain three points atop the standings after second placed Vipers also defeated Nyamityobora 1-0 on the same day.